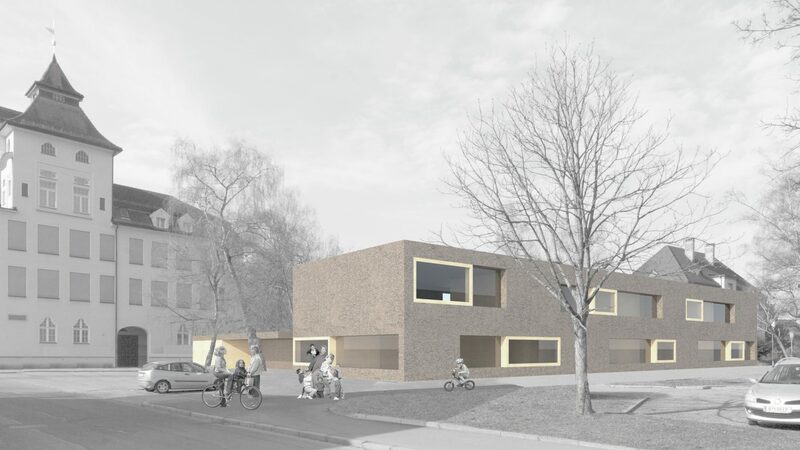 Cukrowicz Nachbaur’s proposal for a new kindergarten adapts its shape and size to the surrounding urban structure of mainly two-storey, elongated buildings standing independently around semi-private gardens. The new building has been conceived as a precise addition which completes the north-eastern boundary to create a generous, south-west facing playground. 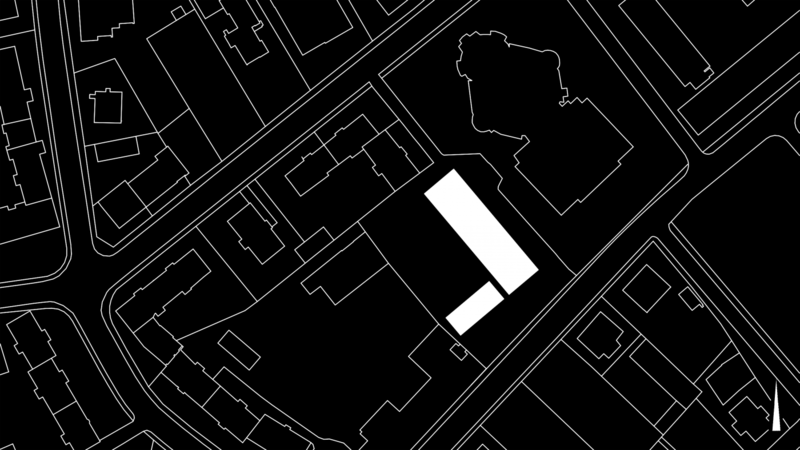 As the element mediating between both of these urbanism themes, on one hand the new kindergarten generates an enclosed court and, on the other, an architectural closure of the parkland to the northeast. The open spatial structure and precisely arranged rooms evoke a set of building blocks. The internal organisation of individual rooms follows a rhythmic pattern for protruding and recessed volumes. They open visual connections which unite the entire interior and create an exciting series of spatial experiences. A single-storey new building has been conceived in solid construction with the facade finished in a thick render finish. The interiors are finished with warm timber surfaces from native forests and achieve a comfortable, haptically rich atmosphere. Design Team: Andreas Cukrowicz, Anton Nachbaur-Sturm, Christian Schmölz, Simon Metzler.